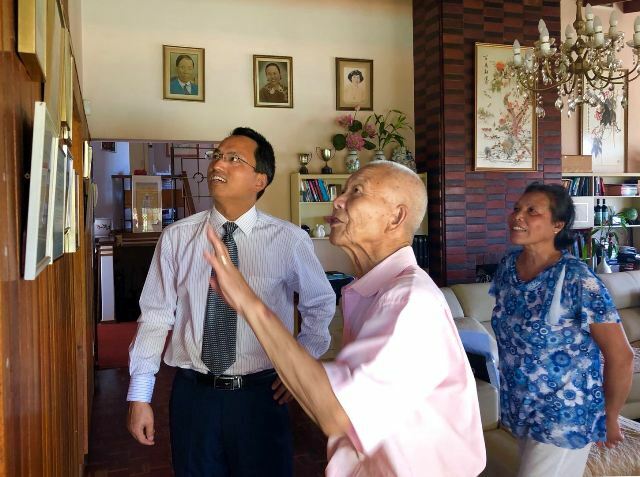 On February 5, 2019, Consul General Fei Mingxing paid a home visit to Mr. Ma Rongfa, an octogenarian leader of the local Chinese community. Consul General Fei wished Mr and Mrs Ma a happy Chinese new year and longevity. The couple expressed their gratitude for Consul General Fei's visit on the first day of the Chinese Lunar New Year, the year of Pig.